Topsy Turvy Yogi takes a FUN twist on yoga by combining imaginative play with age-appropriate yoga poses, music, storytelling, yoga games, and calming breath work. Whether we are princesses, superheroes or traveling to a galaxy far, far away, each birthday party will feature its own custom creative story based upon the party theme! For an additional cost (for materials) your adventure can also include a theme related mindful art activity to enhance your party experience. Topsy Turvy Yogi Co-Founders Jessica Brown and Diana Scharf will be leading each class to provide personalized attention to each child. Children love a good celebration and we are no exception at Topsy Turvy Yogi! Invite us to come to your next event and we will provide music, movement and entertainment for all your young guests. With this innovative approach, we serve walking toddlers 18 months up to 5 years of age in Westchester County, New York. Whether it is yoga story time or special event for your studio or store, Topsy Turvy Yogi will make your event an experience to remember. 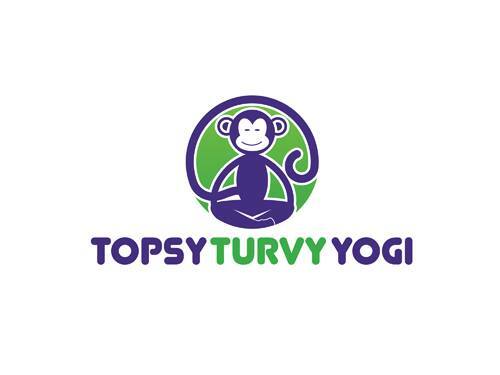 For more information about Topsy Turvy Yogi, visit our website at www.topsyturvyyogi.com.